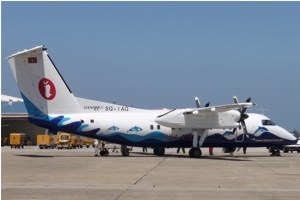 Ninety percent of all International flights currently operate to the Male' International Airport located on the island of Hulhule next to the capital Male'. The Airport Island will look like an Aircraft carrier from the air. 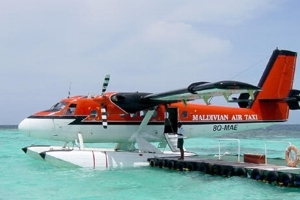 This airport is located in Centre of the country and is close by to resorts located in the central region especially North & South Male' Atoll. Just outside the Arrival Hall area is the meeting point, you will find our representative there. And here you will find counters for all major hotels in the country. 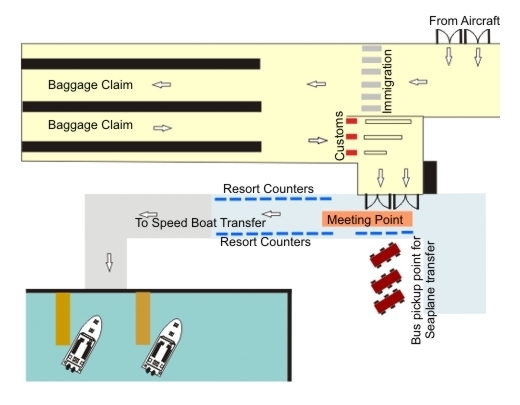 Speed Boat Transfer: This is the transportation Hub for all the Hotels and Resorts. 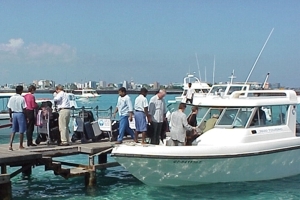 For resorts located in South & North Male Atoll transfer is by Speed boat and our Airport Representative is there to meet you just outside the Arrival Hall and only about 150 meters away your speed boat is waiting for you. Domestic Flight Transfer: If your Resort or Hotel is still further away, then you would require a short Domestic flight to one of the three domestic Airports below. The Domestic terminal is also located on the island of Hulhule right next to the International Terminal and is within walking distance. 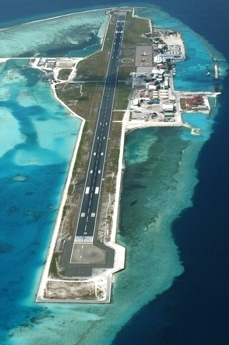 Gan International Airport is located in the southern end of the country, on the Island of Gan in Addu Atoll( also known as Seenu Atoll). This recently Internationalized Airport is yet to commence International flight operations. This Airport has been Internationalized to service the southern tourism zone of Addu and Huvadhu Atoll where there are number of new resorts coming up. It is estimated that International Flights would operate to this Airport in November 2008. Currently Gan operates as a Domestic Airport catering to Internal Flights carrying tourists to existing Hotels in Addu Atoll.